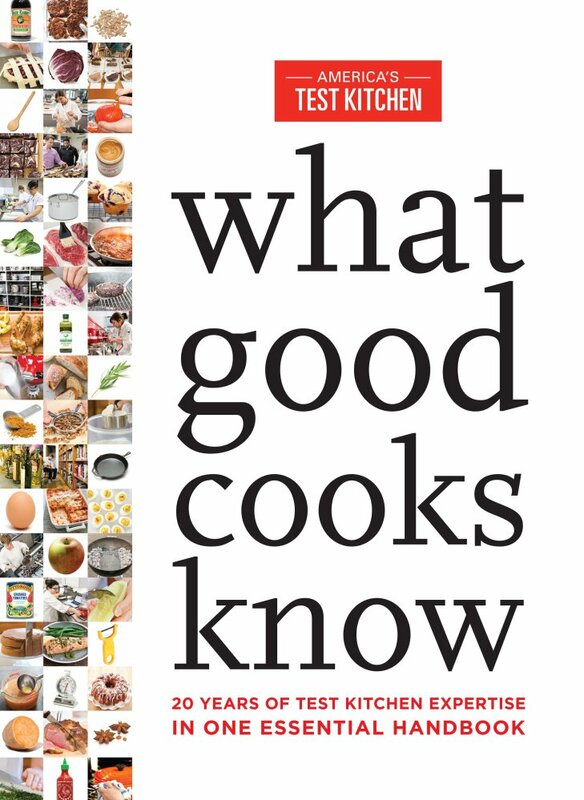 A highly detailed handbook from the editors of America's Test Kitchen delivers a wealth of information on cooking techniques, utensils and ingredients, plus a few classic recipes. A lot of home cooks are fans of the PBS show “America’s Test Kitchen,” the hourlong examination of the best possible cooking techniques, ingredients and utensils based on exhaustive, evidence-based testing in its industrial kitchen outside of Boston. Testers spend countless hours on each recommendation in the book. The test kitchen has a system for trying out equipment, tasting ingredients and experimenting with recipes. Testers don’t stop until they have ruled out every option but one and come to a final decision. It’s a kind of obsessive drive for perfection that I certainly don’t bring into my own kitchen. In fact, I’m not sure how long I’d make it in the test kitchen before I ran screaming for the door. I just don’t have that kind of patience. At the same time, I’m happy to soak up any of the knowledge the test kitchen gleans from its rigorous, scientific cooking regime. That’s why “What Good Cooks Know” is such a great resource. The dense, 400-plus page tome covers everything from how to stock your fridge and pantry to choosing the right meat cut and selecting the best kitchen tools – including a recommendation for a manual citrus juicer. The back of the book includes an appendix on the “best of” dozens and dozens of common brands – like the best Parmesan cheese, orange juice, or oyster sauce. An entire section is devoted to tried-and-tested common cooking techniques, like how to cut meat and fish, cook eggs, make multiple pie doughs and create custom grill fires. Every entry is incredibly detailed, but written clearly enough so it is easy to follow and accompanied with high-resolution color photos. America’s Test Kitchen has put together an impressive collection, but it lacks one thing: a sense of fun. The kind of whimsy and imagination so central to many other cookbooks is distinctly lacking in the by-the-numbers “What Good Cooks Know” approach. That’s probably intentional, since the test kitchen prides itself on its scientific process to get to the best possible recipe. All the same, it can feel a little suffocating. The message seems to be, since the test kitchen has already discovered the only way to cook something properly, why bother improvising or trying something new yourself? Full recipes make up a very small portion of the book, and mostly stick to classic, American home-style dishes. Those include mac and cheese, roast chicken, cheese lasagna, biscuits, molasses cookies and yellow layer cake. I tried the recipe for pan-seared steaks with red wine sauce. It’s a pretty classic, simple way of cooking and although I made the mistake of slightly overcooking the steaks, the velvety, flavorful sauce made up for it. My dinner guests loved the meal, and I plan to keep the book on my counter as a guide for future culinary adventures. Despite my grumbles about the strait-laced feel of “What Good Cooks Know,” sometimes it makes sense to follow the rules. 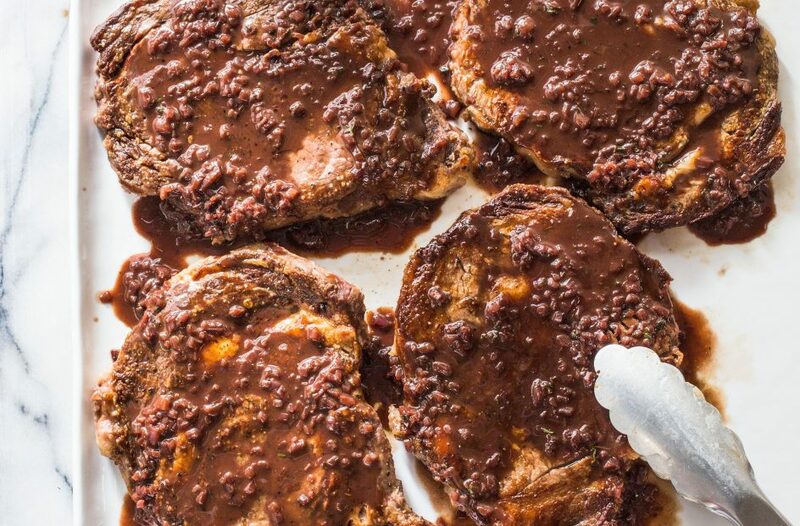 A velvety, flavorful sauce makes pan-seared steaks a memorable dish. 1. Pat steaks dry with paper towels and season with salt and pepper. Heat oil in 12-inch skillet over medium-high heat until just smoking. Brown steaks on first side, about 4 minutes. 2. Flip steaks and continue to cook until meat registers 120 to 125 degrees (for medium-rare), 4 to 6 minutes. Transfer steaks to plate, tent loosely with aluminum foil, and let rest while making sauce (do not clean skillet or discard accumulated fat). 3. Add shallots and sugar to skillet off heat; using pan’s residual heat, cook, stirring frequently, until shallots are softened and browned and sugar is melted, about 45 seconds. Return skillet to high heat, add wine, broth and bay leaf; bring to boil, scraping up any browned bits. Boil until liquid is reduced to 1/3 cup, about 4 minutes. Stir in vinegar and mustard; cook over medium heat to blend flavors, about 1 minute longer. 4. Off heat, whisk in butter, one piece at a time. Add thyme and season with salt and pepper to taste. Discard bay leaf, spoon sauce over steaks and serve.